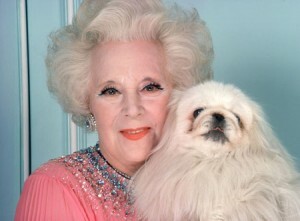 Did you know that Barbara Cartland wrote 26 books in one year? In fact, she is in the Guinness Book of World Records for this amazing achievement, and she authored a total of 723 books in her career. She mostly penned romantic fiction, but she also wrote health books, cookbooks, plays, and biographies. All her work was dictated. During World War II, she gathered wedding dresses for service brides. In the 1960s, she campaigned for the rights of gypsies to have a permanent place to live in England. She fought for better conditions and salaries for midwives and nurses. In 1978, she released an album where she sang with the Royal Philharmonic Orchestra. She claimed that her daughter, Raine McCorquodale, was the daughter of Prince George, Duke of Kent. She was the step-grandmother of Diana, Princess of Wales. In 1981, she was made Dame of the Order of the British Empire by the Queen of England for her contribution to literature and for her work for the community. Her father died during World War I, and her two brothers during World War II.